I just have created an account here but I am a little bit scared. I was looking for some information about the platform and found many posts from top rated freelancers sharing their frustation because Upwork suspended their accounts overnight. There are many stories about that and people is really angry because Upwork give no reasons. It seems like there are no real reasons and looks like errors from the platform. But when you are permanently suspended you can never come back to the platform because the consumer support don't reply to questions and you have no access to upwork's community forums. I am so afraid about placing all my efforts here and building a reputation because everything could. 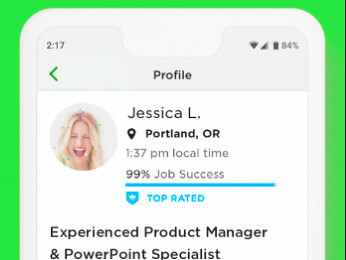 In most cases, all that persons had strong profiles, have worked through upwork for many year and some of them even had upwork as main source of income. But, does Upwork insure that nothing will happen to me? All that persons paid a lot of money, 20% of their salaries, and they said that Upwork don't reply to their inquiries of information. They don't know the reason why they have been suspended and that is so disrespecful because that persons were paying for the service and deserve some respect. I have the feeling that this is a real problem. There are many cases out there. Really, hundreds of them and there is a common denominator, Upwork doesn't care about destroying their careers and never give explanations. Please, do you know about all this thing?? there are plenty stories like these ones!!! So, how I could begin a career here if there is a lot iformation about Upwork destroying profiles?? I am really scared and feel that doing business here would be dangerous. That's quite the list you compiled. But we're talking at most 5 freelancers, one of whom was involved in fraudulent activity, according to Upwork, and another one was sending too many unsuccessful proposals, and in all cases, you're accepting their word that they were top-rated, Upwork gave no reason for the suspension, etc. Upwork isn't perfect, so I accept they may err on rare occasions in suspending a freelancer. But there would be no reason for Upwork to do so intentionally, that's shooting themselves in the foot. Remember, for the most part, Upwork freelancers who are top-rated and not suspended are busy working, so they generally don't take time out to post testimonials for Upwork on Reddit. Well, real thing is that there are so many cases. If you take a look on reddit or use google you will find so many. Once after reading plenty of them, I get the idea that this is not something that upwork does intentionally. But the problem seens to be that upwork never reply to those cases with real replies. Most of the cases talk about consumer support team using different and contradictory reasons to reply their questions about "why?". Most of them also told that they can't use this forum for sharing their thoughts because when you are permanently suspended have no access to the forum. That is the reason why I am worried about. There are a lot of complaints about upwork fees. People says that it is so expensive. I don't think so if the platform really works well for working. But reading about this situation, it seems like that they don't care about their users even they pay for the service. I mean, you can suspend people by mistake, but if upwork doesn't care about it and replies to their questios with nonsense text patterns... well, where is our protections as users and clients of the platform? 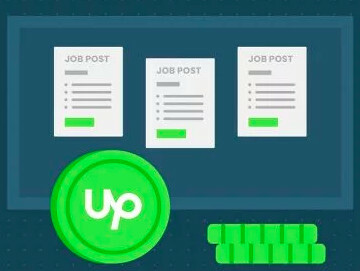 Seems like people is writing on reddit and other social networks or blogs because Upwork close all their channels of communication with the company or the community. Well, if 20% of the cases I have read are true, this is an important problem and it is something to care about. I read about people loosing their way of life and that makes me think that I could be the next. I don't know what to do. But I am so sure that never use Upwork as exclusive source of income because I could loose everything as many others did. Carles, there's generally no appeal for a permanent suspension, but many suspensions are temporary and so can be discussed with support. Regardless, you're a new freelancer so you have no reason to limit yourself to freelancing on Upwork. It's different for freelancers who have worked at Upwork for years to build up a work history; for them, a permanent suspension is a serious matter and it's not easy starting somewhere else with a blank slate. Well, that's right. But I want to make the best informed decission. There are many platforms. the first one's story doesn't add up. He's all over the place with excuses and says he answered their accusations but first says they gave him "no reason" for the suspension. I'd take the first story with a grain of salt. Nobody would purposely bring clients to upwork like he claims. Then he made a second client account and hired his friends. He's in Germany but from Spain, and he created an account and his info is bad. There's just so many problems with his story. I wouldn't believe the first one. Jennifer M, I don't know why I am not able to reply your post. I post a reply but some seconds later it dissapear. I am reading the first story again because when reading your reply looks like you have read a different story. He includes all the messages from the support team, using italics, and all the accusations are there. He said that they didn't give a reason, a real reason, because they replied to their messages with two different and contradictory versions. He also said that reasons make no sense but seems like he also sent some documentation to probe that profile is real. Then, when all the reasons are revealed as false accusations, they didn't answer with "the real reason". I really don't know about that moving clients thing. I don't know how it works but I am reading his story and never told about moving clients to upwork. He said something about creating a "client profile" and hiring some collaborators. I am doing a quick research and found this upwork information about having both a freelancer and client profile. So, I think that this is exactly what he did. Looks like you are a community guru, and sounds like you should know about that kind of things better than me. I found the information reading that guy's experience and googling "creating client profile upwork". So, I don't understand why you are distorting that story for creating an argument against all the people that complaints against Upwork because they were suspended. You could believe it or not, but since you are using arguments that are not from the story and you are distorting everything... Well, I don't feel like you are giving good and reliable information. I don’t know if the story is real or not, but the arguments you are using are not from that story. If you want to use it as example, you should read it twice and then go for the other ones. There are just so many problems with your reply. Scott's analogy is perfect: "At some point someone crosses the road and gets hit by a car. This is news. That millions/billions of people cross the road daily without getting hit is never really discussed"
I'd just like to add that you really shouldn't believe everything you read, especially things written by perfect strangers. Yes. Your account may be suspended and if the suspension is due to fraudulent activities or violation of the TOS, you may receive one notification and no further communication. Upwork doesn't profit from explaining to people who can't use the system why they can't use the system. If you are paying 20% it is because you have gained 80% by using the platform. You profit from being connected to clients that you would not have found on your own. If you want access to those clients, you play by the rules of the company providing that access. 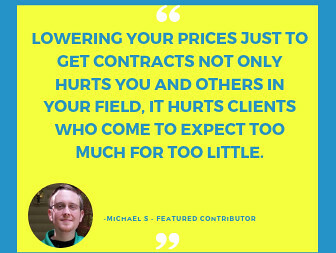 If you don't want to pay 20% for that service, then you have to find your own clients. Paying a commission on earnings buys you nothing other than the access you gained. You are not buying any "rights" to explanations or ongoing membership. You could lose access, be suspended, fail to find gigs, or Upwork could stop doing business altogether. Also, a client could refuse to pay, pay and then revoke the payment later, or give you a bad review that prevents others from hiring you. Those are the risks.